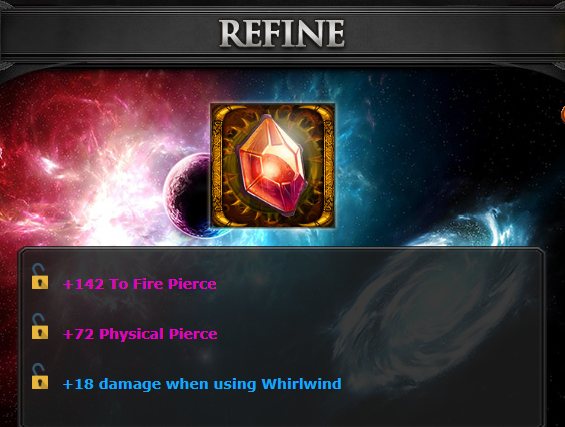 Doesnt make any sense why make the epic defense rune weaker lol? The elemental skills are already inherently weaker as well. IF anything the epic defense rune should have higher boost. Since the game started the devs have hated defense. It's why being a wall or anything that has to do with defense is inherently inferior to its opposite. The devs want us running around bashing monsters and each other, not sitting in our castles bouncing any would-be attackers. i've looked back but havent seen the answer to this question. Am I right in unhappily concluding that only 1 chaos gem can be forged per piece of equipment? lvl 300 with a 142 Fire Pierce + 72 Physical Pierce amulet is pretty damn good, If I do say so myself. 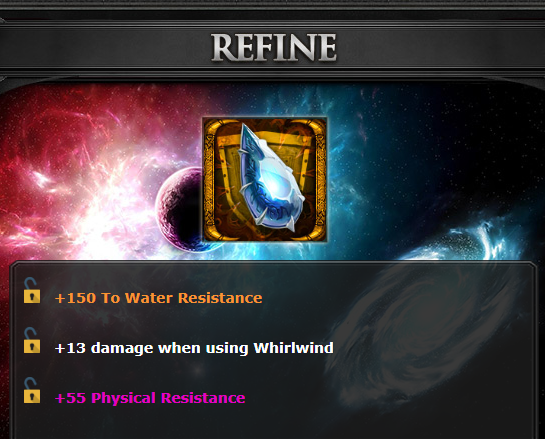 My best defensive gem with resist on the 3rd slot, but not as a triple resist/pierce skill. Good example of multiple socket items with gems: DeathGauntlet gloves from the rats, with 3 sockets. Last edited by Zaturn; 01-24-2019 at 10:06 AM.